Where: Steuben Hall 4thFloor Display Cases. 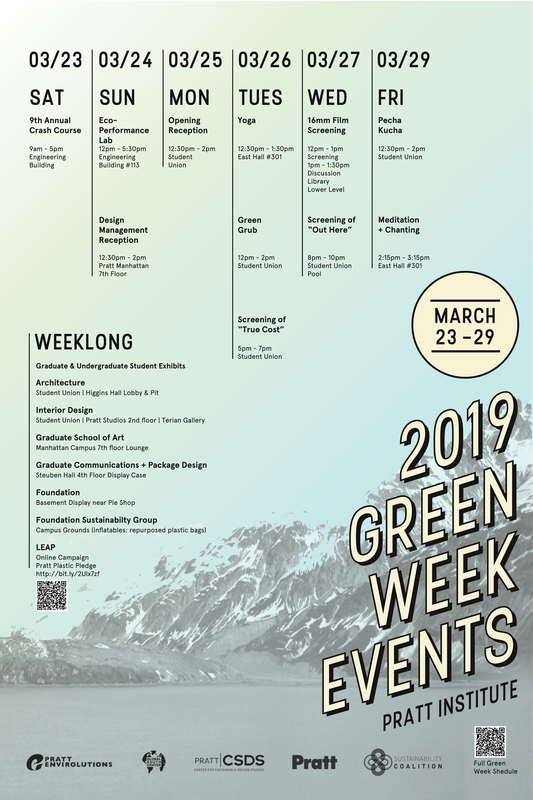 Description: The Integrative Mind & Body Program at Pratt’s School of Continuing and Professional Studies (SCPS) is pleased to be part of Green Week. Wellness and compassion, combined with creative expression, play an important role in sustainability. Please join one or more events, to raise the vibrations together and benefit self and the planet. 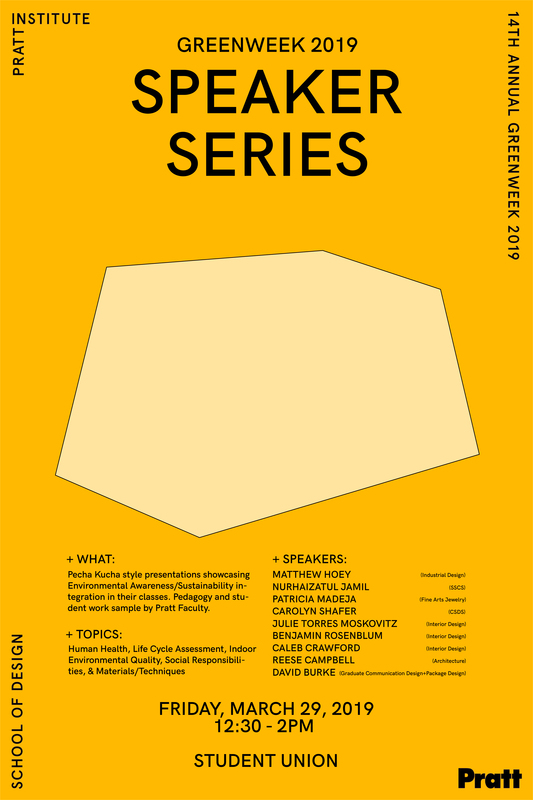 This event is open to students and the Pratt community of any level. Please remove your shoes upon entering the yoga studio. Some cushions and floor seats are available on a first come, first serve basis, or you can bring your yoga mat. Who: Open to all. Brief introduction by Johanna Bauman, the Head of Digital and Special Collections. Description: Fear and Fighting Back: Responses to the Nuclear Threat on Film, 1955 and 198516mm screening and commentary featuring a pair of films that present radically different responses to the Cold War and nuclear proliferation. Frontlines of Freedom (1955), a classic 1950s paranoid, propaganda film, will be paired with Women for America…For the World (1985), a film featuring female activists expressing their resistance and hope for a better future without nuclear weapons. Learn more about the Libraries’ 16mm collection. Bring your lunch. Coffee and Cookies will be served. When/Where: Student Union Pool Lounge / Wed. 03.27 8-10pm. Description: Out Here is a full-length documentary film created by the Queer Farmer Film Project. Completed after 4 years in production, it looks at the experiences of queer farmers across the country and asks – what does it mean to be a queer farmer, is agriculture a safe space for queer people, and what are the relationships between food production and queerness? It is the filmmaker’s dream that this project will give voice and visibility to queer people in agriculture and inspire a flagrant national discussion about gender and sexuality as they are related to our food system.